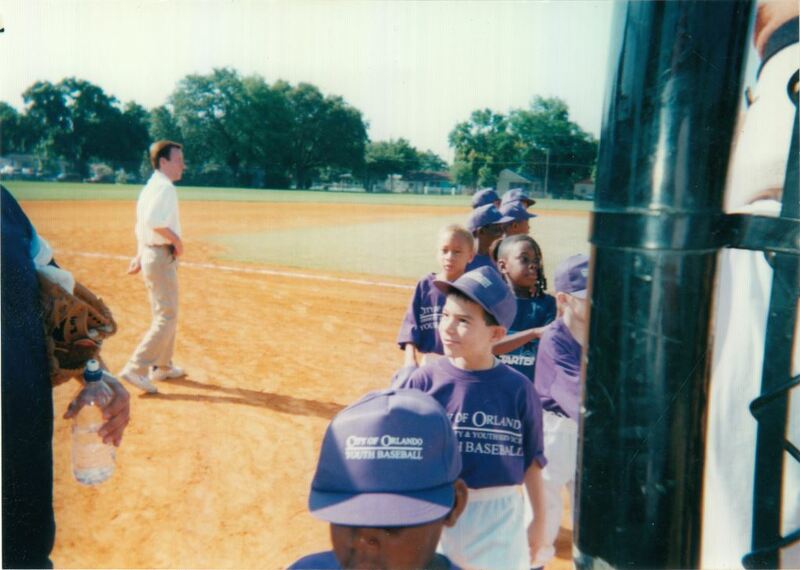 Youth participants on the City of Orlando Youth Baseball Team, which operated from 1999 to 2003. The team eventually had youths up to 14 years old playing baseball, and would play in Grand Avenue Park. The contributor's son, Nathaniel Jenkins, is pictured fourth from the front of the photograph. Original 3 x 5 inch color photograph, 1999: Private Collection of Dedra Jenkins. Digital reproduction of original 3 x 5 inch color photograph, 1999. 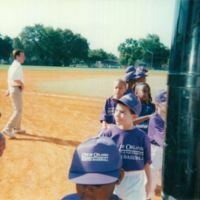 “City of Orlando Youth Baseball Team.” RICHES of Central Florida accessed April 24, 2019, https://richesmi.cah.ucf.edu/omeka/items/show/7802.